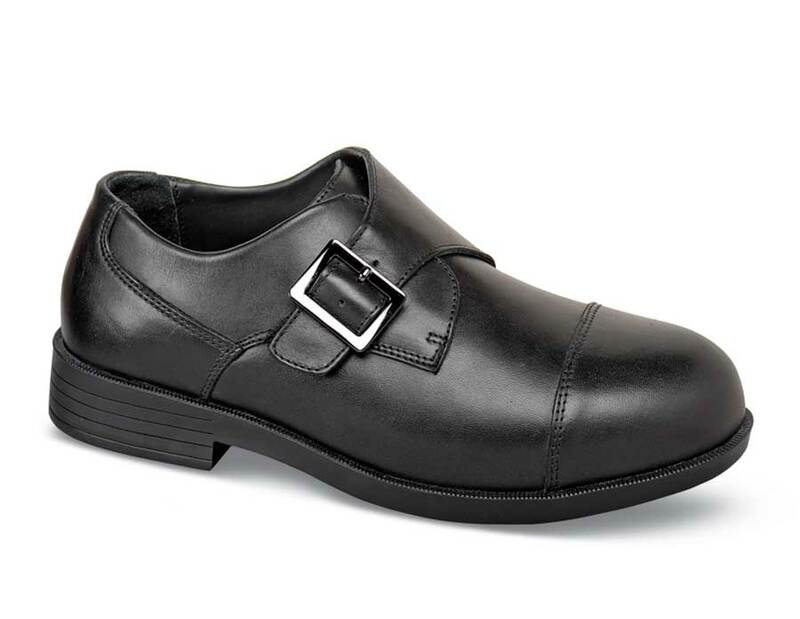 The black "Canton" monk strap oxford from Drew has convenient VELCRO® closures plus the extra depth and comfort of Drew’s Plus Fitting System. Supple leather uppers are lined with leather and Dri-Lex®. Padded collar and tongue. 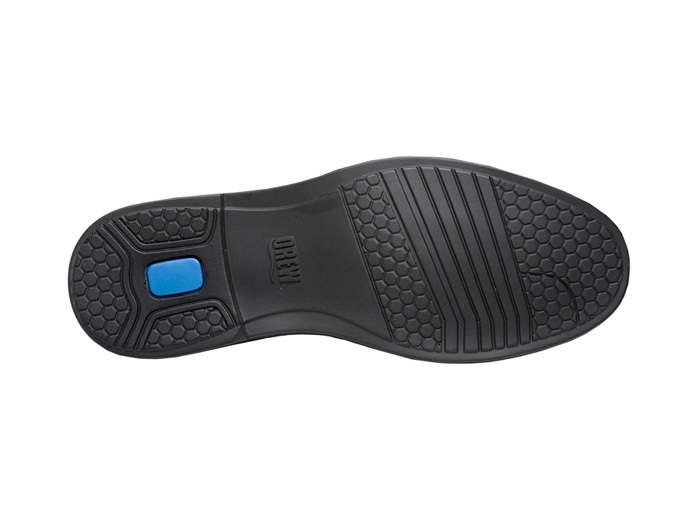 Dual removable insoles can accommodate custom orthotics. Flexible rocker-bottom PU outsole. Tempered steel shank. Originally $169.95. Limited stock in men's 4E and 6E widths in sizes indicated.